The other "what kind of kitsune are you" thread links to now defunct quizzes (at least one quiz is defunct), so I decided to make a new one with something fresh. This first post will contain links to quizzes as they are found (on Quizilla, or elsewhere). If you find any, post a link, and I'll add it here. Update (9/5/2015): Found out about a month ago that these quizzes are defunct, as well. Currently searching for new ones, or contemplating creating a few. What kind of kitsune are you? The mighty Kitsune of the power of Ice and Snow! What element kitsune are you? Water: You are a kitsune of the element Water. Much like your element of water, you are calm and cool. You're also a very steady and calm element, but you get as bad as a tsunami when you get angry. You are empowered by water when in the Physical realm. You are one of the lesser elements, and the kitsune of Fire elements tend to make you get upset very easily. Stop letting them bother you, and have some fun. What type of kitsune are you? You Really are a Light Kitsune! So, underneith all of that fur you are a nice citizen. You like to control the minds of people who have done something wrong and make them do good for once. If you possess someone you do it to help them and you try all you can to prevent draining thier enrgy. You will always keep your promise no matter what happens, but if someone makes YOU a promise they will always keep it and if you dont they may become your sworn enemy for a long period of time until they ask for forgiveness...you never saty mad for long. Which famous kitsune are you? Genkuro. A kitsune who's parents were 1000 years old and were hutned to form a magical drum called a tsuzumi. The drum was used to seduce the Fortune of rain into producing storms at the sounds of it. It is through a play about Genkuro that it is learned that kitsune are feminine in nature. You Really are a Dark Kitsune! You like to take control of all people and drain there energy just to make yourself stronger than everyone else. You would kill to get what you want. When you get mad, choas will brake loose. You are determined to be the best! Hua-yang. She was a nine-tailed kitsune and was responsible for the destruction of kind Pan-Tsu in India. Later, she fled to China calling herself Pau-ssu. She joined the harem of Yu, King of the Chou dynast. She eventually became his queen, all because he wanted to see her smile. Under her guidance, the Chou dynasty falls. Pau-ssu eventually fades/dies and is reborn in Japan where she calls herself Tamamo-no-Mae. She joins the emporor's court where she causes death. When she is discovered, she takes her true form. A golden kitsune with nine tails. Eventually, she flees and transforms into a rock. Magically, everything around her dies in this form. Your the Kitsune of Nature! A controler of all Earth powers. You can bring plants to life, and set a walk ontop of Water... as a powerful kitsune of the earth. Forest: You are the element of forest. You love the world of Nature, and you love plants. You are one of the lower elements, but you have your own set of powers. When manifested into the Physical World, you need less energy if living somewhere near your element. You are calm, cool, and usually a neautral until someone hurts your friends. Hakuzo. A kitsune that took the form of a Buddhist scolar, and would talk and answer religious dialouges in the temples. He was seen as very wise and very scholarly. When he was discovered to be a kitsune, he vanished. Later he would be seen hanging around outside the temple, preaching the doctrine of Buddha in the dark. Death. It engulfs us, makes us who we are. And that would be killers. We do not exist in peace, only pain. Rest only comes but once, and none may refuse it. The only option is -HOW- you embrace it. Pain is not an impairment, but an obstacle. Anger not a weakness but a power left untapped by most. Passion is not my disability but my guide. I usually get Spirit or Void every time I take a kitsune test. I guess I'm just a naturally born nogitsune. :P It does fit my character though, since he is power hungry. lol I guess I am more of a darker born Myobu a Myobu with a more darker none Light and sunshine outlook lol. What Kind of Kitsune are you:Your a Shadow Kitsune! Wow I didn't even know their where that many kitsune quizzes out their! Oh and here are my results. You Are a Great and Powerful 9 tailed Demon fox!! The almighty and strongest Kitsune of them all. Time: You are a kitsune of the element Time. You are one of the lower elements of kitsune. You don't view things as normal creatures, you view them as the full spectrum and plan far too much. You are one of the mysterious breeds of Kitsune. WOW! Your not a kitsune but your amazing! Are there really people like you oput there still? You are a human that's for sure but you aren't like the others. You would spend all you money on feeding others than yourself.. Though you arnt a kitsune, your spirit energy is strong. You have some sixth sense! Gengoro. A kitsune known for having the strength, speed, and vitality of three people. He was known to do farmwork, and send messages for the people he protected. He was later killed by a wild dog. Oh, there a LOT more kitsune quizzes than these four. It just depends on how 'serious' you want them to be. 1.) This person needs to not be so spastic about their answer choices... and know the difference between there, they're, and their. 2.) Definitely pretty true, but I'm also easily excitable ;) Doesn't take much to get me excited, especially when it's something new and interesting. 4.) I got Genkuro as well. The almighty and srongest Kitsune of them all. 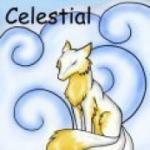 Spirit: You are a kitsune of the element Spirit. Kiko or koryo, another of the 'bad' kitsune, also called 'ghost foxes' or demon foxes. When in the Physical plane, you are one of the most dangerous of the kitsune due to your feeding off the soul energy of living creatures. Famous Kitsune: Tamamo-no-mae This kitsune went around throughout Asia and caused death everywhere she went. She was later caught and forced to revert to her truest form, and golden Kyubi no yk (nine-tailed fox). what famous kitsune are you : Hua-yang. She was a nine-tailed kitsune and was responsible for the destruction of kind Pan-Tsu in India. Later, she fled to China calling herself Pau-ssu. She joined the harem of Yu, King of the Chou dynast. She eventually became his queen, all because he wanted to see her smile. Under her guidance, the Chou dynasty falls. Pau-ssu eventually fades/dies and is reborn in Japan where she calls herself Tamamo-no-Mae. She joins the emporor's court where she causes death. When she is discovered, she takes her true form. A golden kitsune with nine tails. Eventually, she flees and transforms into a rock. Magically, everything around her dies in this form. how many tails would you have: You are either a five-tailed or six-tailed fox. You are on par with the rest of the supernatural realm and can hold your own as a kitsune. Mortals beware.